Having a baby may be one of the most exciting times in your life, but you could probably do without the nausea, heartburn, headaches and fatigue. Fortunately, there are a number of natural therapies that are safe and effective at treating the common symptoms of pregnancy. 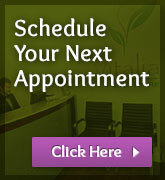 Vitalia Health Care offers naturopathic medicine, such as acupuncture, to expecting moms at their Vancouver clinic. Learn more about what symptoms moms-to-be experience during pregnancy and how to get relief from these unpleasant symptoms safely and naturally. Having professional health care and support can be highly beneficial for expecting parents. At the Vitalia clinic in Vancouver, individuals and couples can acquire health care and support at all stages of family planning, including pre-conception care, fertility and pediatrics. Not only can expectant moms receive treatment for common pregnancy ailments, including morning sickness, indigestion and back pain, but an appointment at Vitalia can encourage healthy child development. After the birth of your child, post-natal guidance is offered to monitor your physical and mental well-being. Vitalia Healthcare of Vancouver is proud to work with infants, children, women and families to develop better overall health for all. Whether you need breast feeding support to encourage milk flow or if you want us to work with your primary care provider to create a personalized health plan for you, our goal is to provide you with natural health solutions from pre-conception and onward. There are a multitude of benefits that come from family planning, such as a better understanding of any fertility issues, control of family size according to your financial situation and desires, and healthier moms and children throughout the family planning process and for life. No need to suffer from unpleasant pregnancy symptoms like nausea and indigestion. At Vitalia Health Care in Vancouver, pregnant women can undergo acupuncture to get relief from common pregnancy symptoms and general aches and pains. 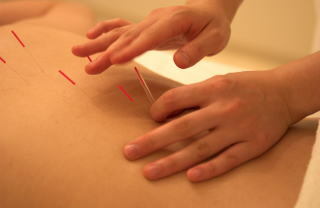 Acupuncture is a non-surgical procedure adopted from traditional Chinese medicine. It involves pricking the skin or tissues with needles to treat various mental, physical and emotional conditions, while alleviating pain. It also focuses on areas of the body where the body’s natural energy or “Qi” are blocked, which creates an imbalance. Acupuncture restores the flow of energy and treats many issues, such as back pain, depression, migraines, headaches, arthritis, and various systemic disorders. Expectant moms need not suffer from the many common symptoms associated with pregnancy. One or more sessions of acupuncture or other natural health care solutions at Vitalia Health Care in Vancouver can get you feeling better, sooner. These natural health care solutions are safe and fully backed by the support of experts in naturopathic medicine. For more information regarding acupuncture, family planning or any other services or treatments offered at Vitalia Health Care, call 1-604-566-WELL (9355) today.